The Ferrari 328 GTB and GTS (Type F106) are mid-engine V8, two seat sports cars produced by Italian automotive manufacturer Ferrari. It was the successor to the Ferrari 308 GTB and GTS. While mechanically still based on the 308 GTB and GTS respectively, small modifications were made to the body style and engine, most notably an increase in engine displacement to 3.2 L for increased power and torque output. 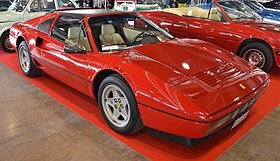 7,412 Ferrari 328s were produced by the time it was replaced by the 348 model in 1989, bringing the total for the 308/328 generation to nearly 20,000. The 328 is considered by some Ferrari enthusiasts to be one of the most reliable Ferraris; unlike some models, most engine maintenance can be performed without lowering the engine from the vehicle. The GTB referred to the Gran Turismo Berlinetta (coupé) (fixed roof) body while the GTS was a Gran Turismo Spider (targa top). In 1985, the 328 retailed from $58,400-$62,500 ($130,388 - $139,542 in 2016 dollars) in the United States. The “328” numbers in the model title referred to the total cubic capacity of the engine, 3.2 litres, and 8 for the number of cylinders. The new model was introduced at the 1985 Frankfurt Salon alongside the Mondial 3.2 series. The 328 was the final evolution of the transversely mid-mounted, conventionally aspirated 90 degree V8. Essentially the new model was a revised and updated version of the 308 GTB/GTS, which had survived for eight years without any radical change to the overall shape, albeit with various changes to the 3-litre engine. The 328 has been described as one of the most useable classic Ferraris because of its durable road record, history of appreciating value, and classical aesthetics. The original Pininfarina design was carried over but included subtle changes from the carrozzeria. The effect was both aesthetic and also an improvement in overall aerodynamic characteristics. 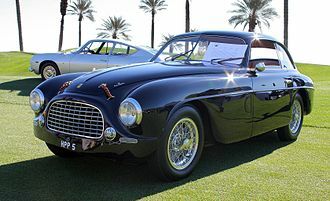 The car’s body was still largely built by hand coming from Scaglietti works. The revised body presented a softening of the wedge profile of its predecessor, with a redesigned nose that had a more rounded shape, which was complemented by similar treatment to the tail valance panel. The revised nose and tail sections featured body colour bumpers integral with the valance panels, which reflected the work done concurrently to present the Mondial 3.2 models, with which they also shared a similar radiator grille and front light assembly layout. Thus all the eight-cylinder cars in the range shared fairly unified front and rear aspects, providing a homogeneous family image. The exhaust air louvres behind the retractable headlight pods on the 308 series disappeared, coupled with an increase in the size of the front lid radiator exhaust air louvre, which had been introduced on the 308 Quattrovalvole models, whilst a new style and position of exterior door catch was also provided. The interior trim also had a thorough overhaul, with new designs for the seat panel upholstery and stitching, revised door panels and pulls, together with more modern switchgear, which complemented the external updating details. Optional equipment available was air conditioning, metallic paint, Pirelli P7 tyres, a leather dashboard, leather headlining to the removable roof panel plus rear window surround, and a rear aerofoil (standard on Japanese market models). 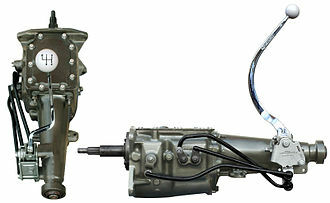 In the middle of 1988 ABS brakes were made available as an option, which necessitated a redesign of the suspension geometry to provide negative offset. 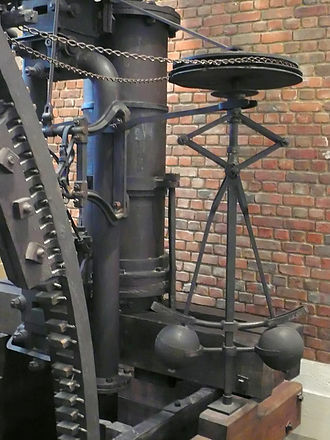 This in turn meant that the road wheel design was changed to accommodate this feature. The original flat spoke "star" wheels became a convex design, in the style as fitted to the 3.2 Mondial models, whether ABS was fitted or not. One minor problem was the oil hose from the lower part of the engine to the oil cooler. 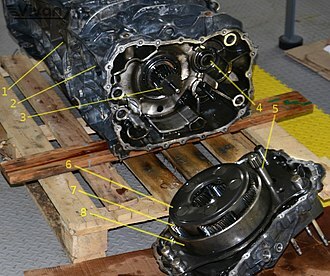 This proved to be too short, and the motion of a running engine was sufficient to separate it from the oil cooler. Additionally, the hose was almost solid being under pressure, in time causing the oil cooler would crack. One fix for this issue was to connect the oil hoses for the oil cooler (to and from the engine) "up side down". This configuration provided more slack for the lower hose (itself now connected to the top of the oil cooler). The 328 model remained in production for four years, until replaced by the 348 model in the autumn of 1989. GTS production totaled 6,068 vehicles in the chassis number range of 59301 to 83136.GTS production outnumbered the GTB version almost five to one. GTB production totaled 1,344 vehicles in the chassis range of 58735 to 83017. 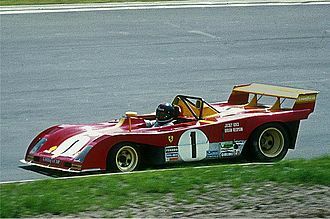 The early part of each series were numbered in the Ferrari odd number road car chassis sequence, and later examples (post chassis number 75000) in the continuous number sequence. The 328 uses the Ferrari Dino engine produced from the late 1950’s to the early 2000’s. It is essentially the same design as that used in the 308 Quattrovalvole model. It has a naturally aspirated 3.2-litre (3185 cc), 4-valve-per-cylinder (quattro valve), transverse mounted, rear mid-engine V8 layout (Tipo F105 CB 000). It has a bore and stroke of 83 mm (3.3 in) x 73.6 mm (2.9 in). The engine retained the Bosch K-Jetronic fuel injection system of its predecessor, but was fitted with a Marelli MED 806 A electronic ignition system. It produces 270 hp (201 kW) and 231 lb⋅ft (313 N⋅m) of torque. Its top speed is 166 mph (267 km/h) and reaches 60 mph (97 km/h) in 5.5 seconds and 100 mph (160 km/h) in 13.0 seconds. 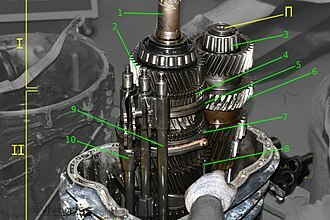 As with the preceding 308 models the engine was mounted in unit with the all synchromesh five speed manual transmission assembly, which was below and to the rear of the engine’s wet sump. The switch from a cable-operated clutch to a hydraulically operated one was an upgrade in pedal actuation ease. The front and rear suspension are independent, double wishbones, with coil springs, telescopic dampers, and anti-roll bars. The steering is rack and pinion. The transmission is a 5-speed gated manual. 0–60 mph 5.5 seconds approx. In 1986 Ferrari launched a two-litre, turbocharged and intercooled variant of the 328, designated simply GTB Turbo and GTS Turbo—replacing the previous 308-based, non-intercooled, Ferrari 208 GTB/GTS Turbo. This version was developed specifically for the domestic Italian market, where cars with a displacement of over 2-litre like the 328 were subject to a 38% value added tax, up from the normal 18%. The turbocharged Tipo F106 N 000 V8 was evolved from the 208 Turbo's engine, chiefly by adding an intercooler and adopting a new turbocharger. Displacement was unchanged, at 1991 cc with a bore and stroke of 66.8 mm (2.6 in) × 71 mm (2.8 in); there were four overhead camshafts driving two valves per cylinder; Bosch K-jetronic mechanical fuel injection was carried over from the 208. Whereas 208 Turbos had used a KKK turbocharger, these new 328-based cars used a water-cooled IHI unit running at 1.05 bars (15.2 psi) of boost. Charge air was cooled by a Behr air-to-air intercooler mounted on top of the engine. Output was 254 PS (187 kW; 251 bhp) at 6,500 rpm and 328 N⋅m (242 lb⋅ft) at 4,100 rpm; maximum torque was reached at engine speeds 700 rpm lower than on the 208 Turbo, making the engine more flexible. Other than the engine, differences between the two-litre Turbo and the regular 328 were minimal. Accommodating the top-mounted intercooler required a redesigned engine cover, as well as ducting and NACA intakes (positioned just forwards of each rear wheel arch) to feed it with fresh air The rear bumper sported five ventilation holes. A black roof spoiler, optional on the 328, was standard; inside a boost pressure gauge was added to the instrument cluster. According to the manufacturer top speed was 253 km/h (157 mph) and 0–100 km/h (0–62 mph) took 6.3 seconds. In June 1986 Italian automobile magazine Quattroruote published a comparison test between a 328 GTS and a GTS Turbo. Despite the differences between the former's more powerful 32-valve atmospheric engine and the latter's torquier but peakier turbocharged 16-valve engine, performance was found to be quite similar in both acceleration and top speed. The Turbo sprinted from 0 to 100 km/h in 6.6 seconds (a tenth of a second behind the 328) and covered the standing kilometre in 24.6 seconds, two tenths behind the 328. Quattroruote recorded a top speed of 251 km/h (156 mph). During the production period between 1986 and 1989 Ferrari made 308 GTB Turbos and 828 GTS Turbos. ^ "An '80s Ferrari Icon". Forbes. Retrieved 2008-01-31. ^ "The Last Analog Ferrari". Hemmings. Retrieved 2019-04-05. ^ a b c d e "Ferrari 328 GTS". Ferrari N.V. Retrieved 2019-04-06. ^ "The Ferrari 328 GTS Is a Sound Investment And a Surprising Sensible Classic". City A.M. Retrieved 2019-04-09. ^ a b "Ferrari 328 GTB". Ferrari N.V. Retrieved 2019-04-09. 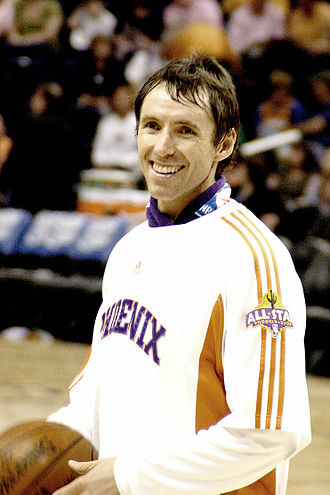 ^ a b c d e "GTB Turbo". ferrari.com, Past models. Retrieved 27 December 2014. ^ a b "GTS Turbo". ferrari.com, Past models. Retrieved 27 December 2014. ^ a b c d e "Ferrari "328" e "208": normale o turbo?". Quattroruote (in Italian) (368). June 1986. 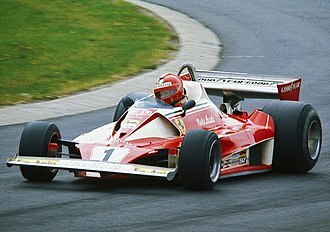 Wikimedia Commons has media related to Ferrari 328 and Ferrari GTB/GTS Turbo.